Abraham Lincoln - possibly the best President of the United States of America who freed the slaves but sadly was assassinated. Abraham Lincoln was white, had a beard, he always wore a top hat, was very tall. John Wilkes Booth was white, very bushy mustache wore very expensive suits. "Would throw everything away that he worked so hard for." "John was said to be, impossibly vain." Lewis Powell - Lewis was white, the closest and actually the first to know the murdering plan. George Azerodt was a bold character, who would be your average kidnapper for hire. Mary Suratt - from a picture in the book she looked like your average catholic house wife. David Herold - an experienced outdoors man, hunter and tracker. 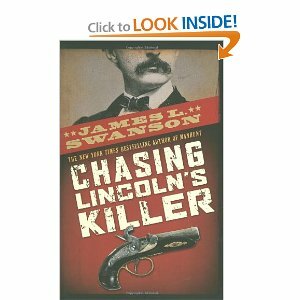 The plot of the story was the murder of Abraham Lincoln. Abraham became president of the United States in 1865. He continued his reign of presidency for a few months. Then he was assassinated in 1865 by John Wilkes Booth in Ford's Theatre. Some of his co-conspirators were David Herold, Mary Surrat, and the closest one of them all, Lewis Powell. Lincoln helped bring an end to slavery but, this conspiracy brought an end to Abraham Lincoln. I would recommend this book to middle school ages and up because middle age students and older would understand it, and like it the way I did. I also like historical mystery books so I recommend this book to all historic mystery book fans. Last, it tells us what has happened within our government in the past. In my opinion, I felt this book met my expectations because it stood out to all of the other books I have read. It told me everything that I wanted to know that was behind the assassination of Abraham Lincoln.